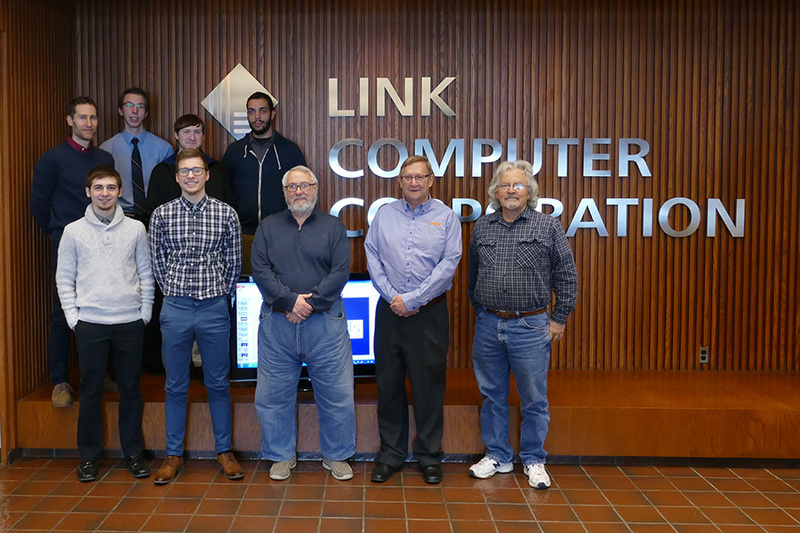 STATE COLLEGE, PA — Internship season is coming up for second-year students at South Hills School of Business & Technology. In preparation, the students take a Job Search Skills course which covers topics such as résumé and cover letter writing, interviewing skills, and job-seeking methods. 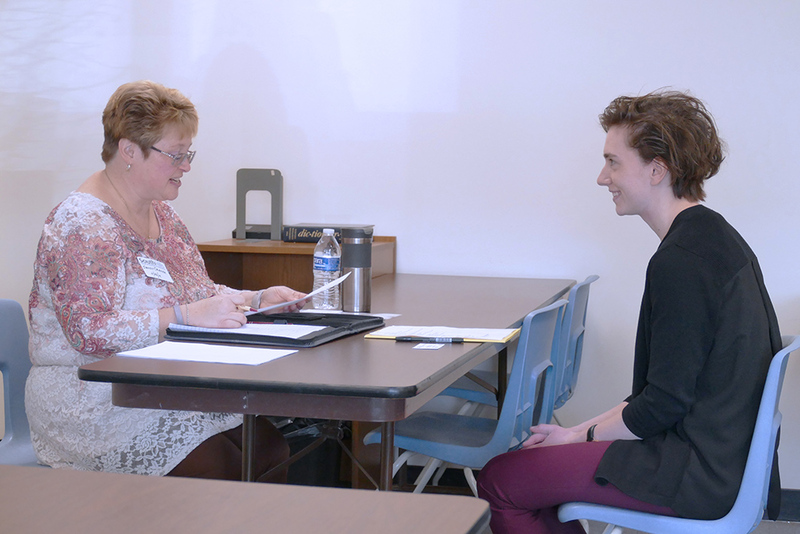 To improve interviewing skills, students participate in mock interviews with local employers in their respective fields. 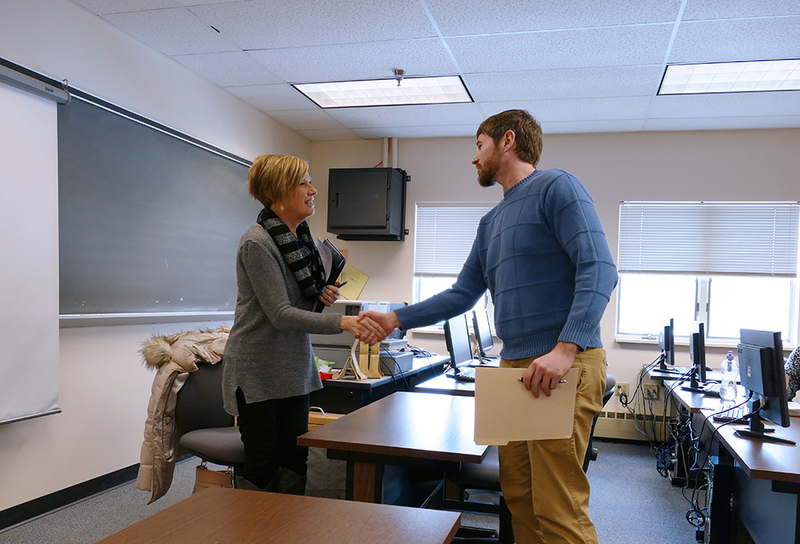 Sandy Cramer, Co-Owner of the HR Office, Inc, interviewed the Administrative Professional and Business Administration – Management & Marketing students, and Leanne Condo, Human Resource Manager at Blatek, interviewed the Engineering Technology students. 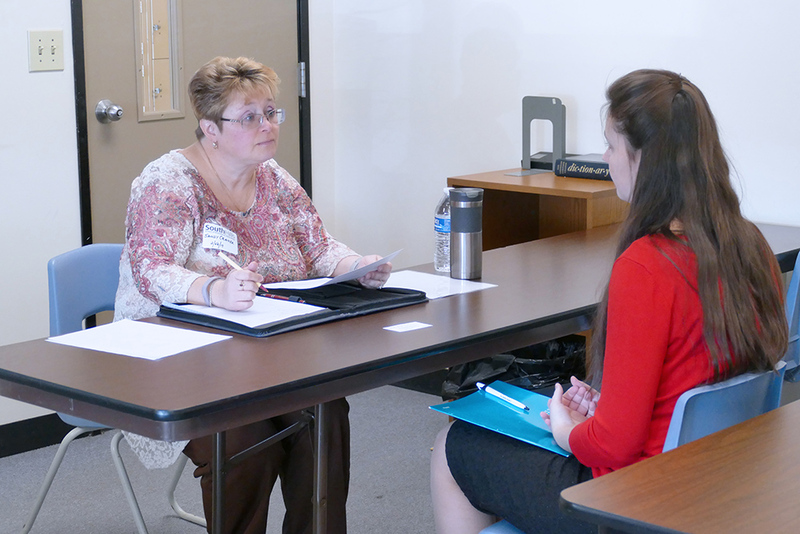 Sandy Cramer, Co-Owner of the HR Office, Inc., conducts a mock job interview with a South Hills student. 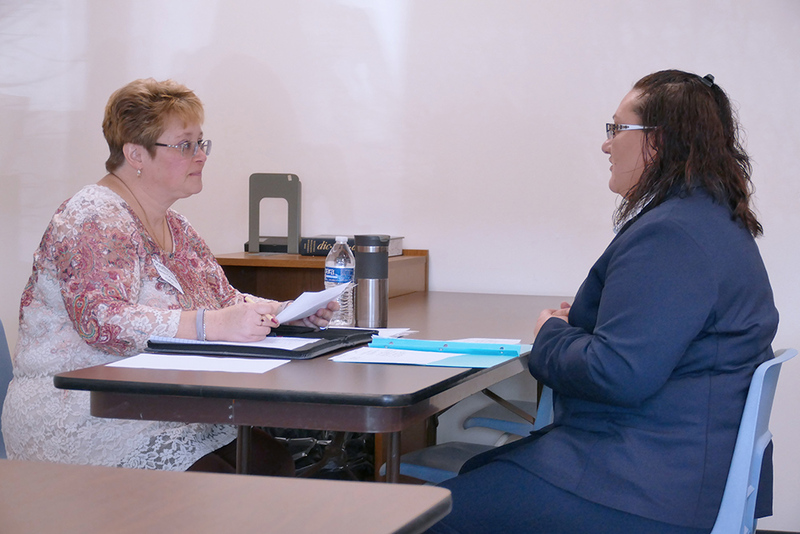 Leanne Condo, Human Resource Manager at Blatek, conducts a mock job interview with a South Hills student. 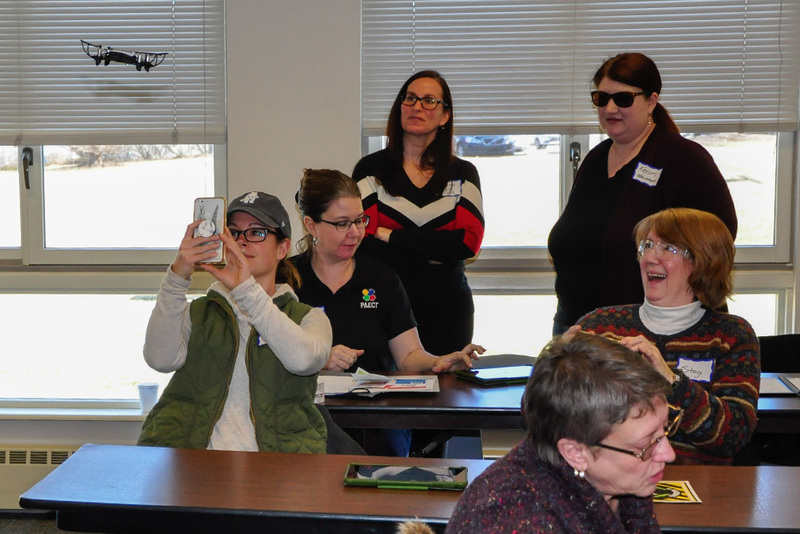 PAECT/SHSBT drone workshop participants gain experience in programming and flying the Parrot Mambo quadcopter-drone.